TERRAOCEANA is an environmentally conscious, organic supplement company and one of the nutrition industry’s leaders in cutting edge, live, whole food products since 1995. When used for prevention, our formulas help people, dogs, cats and horses achieve vibrant health and well-being. TERRAOCEANA’S products have also been used by leading doctors, veterinarians and alternative health care practitioners for crisis intervention and to assist their clients and patients recover from injury, surgery and illness. All of the ingredients sourced by our company are from US farmers and growers who ONLY produce organic or wild harvested ingredients from land (Terra) or sea (Oceana), ensuring the highest quality nutrition for you and your loved ones… whether they have two legs or four! Our foundational product, Power For Life, is available for use by people, dogs, cats and horses. This unique, synergistic blend provides a vast array of nutrient-packed sea vegetables, high-powered herbal extracts, super foods and immune-boosting antioxidants and probiotics. Results speak for themselves… and we guarantee you and your animal friends will see and feel a significant improvement in your health! In addition to the benefits you experience from Power For Life, many others are helped as well! 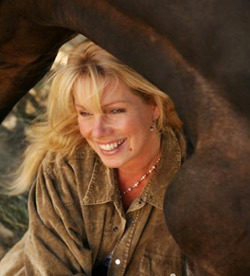 Proceeds from our TERRAOCEANA product line are donated to The Equine Sanctuary, a 501(c)(3) non-profit organization. 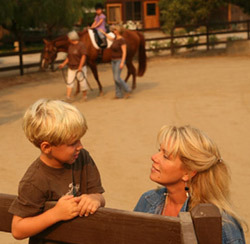 The Equine Sanctuary rescues, rehabilitates and retrains injured US racehorses for educational and therapeutic programs for children, the disabled and US Veterans. Chief Seattle said “we are all part of the circle of life,” and we believe his words to be very true. So to all of our devoted clients (many of you for over twenty years now), and to those of you about to join our family here at TERRAOCEANA, we thank you for allowing us to become a part of your daily health ritual. 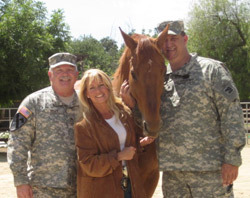 We thank you for the opportunity to partner with you and your family as you make health a priority, and we thank you for helping us to save the lives of many deserving horses so they can assist children and US Veterans in their healing. TERRAOCEANA is committed to working with Mother Nature to create health, balance and harmony for people, the animal friends they love, and for our planet.